1003.00 sqft. - 1485.00 sqft. A R Reflections comes up as an elegant project offering beautiful and comfortable homes surrounded by rejuvenating environment. 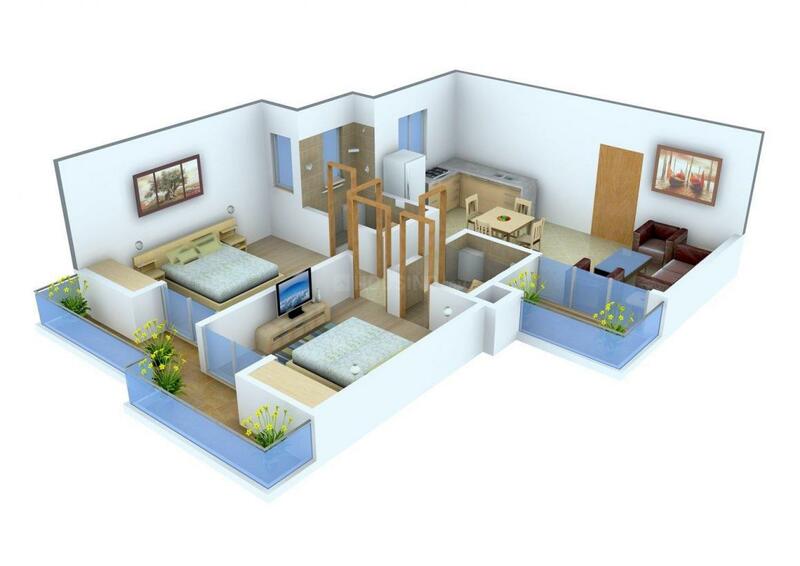 Every apartment provides a getaway to paradise away from the hustle bustle of daily life. The project is designed to provide a happy and healthy environment adorned with modern day facilities. It has a unique blend of quality, comfort and style. Well crafted interiors with spacious balconies overlooking lush green surroundings provide the coziness and comfort one aspires to seek after a long day at work. Surrounded with a picturesque landscape and enough open spaces, the project is also equipped with all amenities to suit your lifestyle needs. 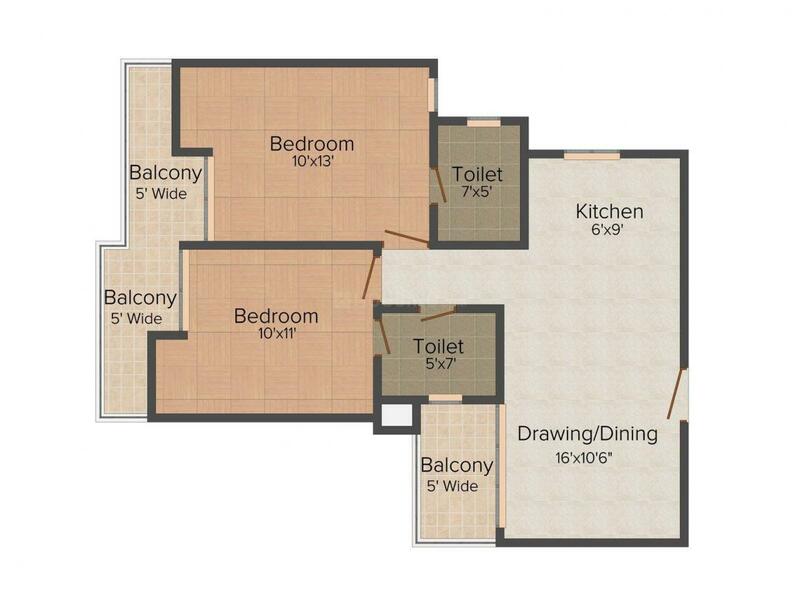 Carpet Area : 752.00 sqft. 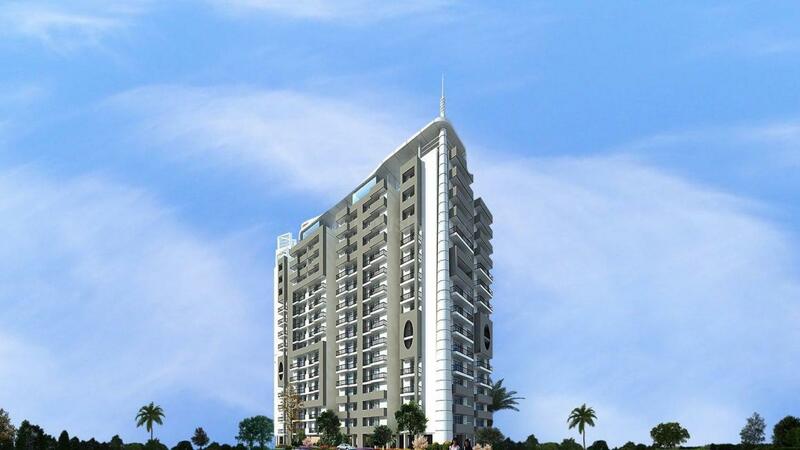 Raj Nagar Extension is a fast growing residential area in Ghaziabad NCR. Located on the well developed six lane Meerut Bypass Road (National Highway-58), Raj Nagar Extension is well connected to the areas along its stretch like Badrinath, Srinagar, Devprayag, Rishikesh, Haridwar, Roorkee and Meerut. What makes this place a preferred residential locality is that it is well linked to all the three areas of Noida, Greater Noida and Delhi. Guldhar and Duhai Railway Stations are the nearest stations from this locality. However the major junction, Ghaziabad Railway Station is also in the proximity. The presence of Meerut Road Industrial Area and the Industrial Area-Bulandshahr has resulted in creating a number of job opportunities for people residing in and around this area. Having an added advantage of being a green and pollution-free belt, this area is well-planned and considered as one of the posh localities. A proposed flyover from Hindon River and Metro Link will reduce the traveling time to Delhi. Many reputed educational institutes, hospitals, hotels, restaurants and banks ensure an easy and convenient daily life for the inhabitants of this place. 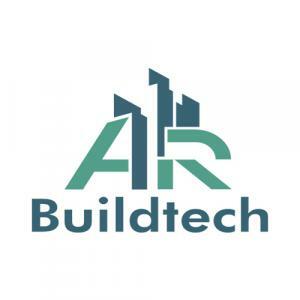 With over 20 years of experience, A R Buildtech Private Limited has earned high reputation in the Real Estate industry with the construction of premium and quality projects. With a firm foothold in the Real Estate Industry, the company strongly believes in its customer-centric approach and strives to not just achieve but surpass customer satisfaction. The main motto of the company is to employ ace technology coupled with specialized procedures to create eco-friendly projects. They strictly abide by their core values of honesty, fair practices and maintenance of high quality in all its projects undertaken. Firmly supported by a well-knit and zealous team, A R Buildtech Private Limited looks to the future with a strong sense of achievement.